Day Bridge Climbs begin from early morning to late afternoon. 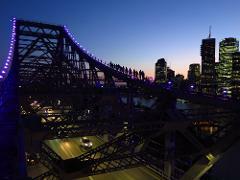 Take in a full 360-degree panorama of Brisbane and its surrounds. 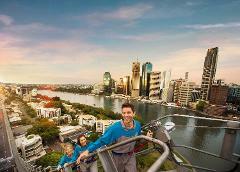 From the Glass House Mountains to Moreton Bay and south to the Scenic Rim, enjoy the best views in Brisbane. 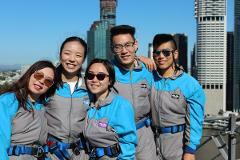 Led by Mandarin speaking climb leaders, the Mandarin climb is tailored for Chinese climbers. 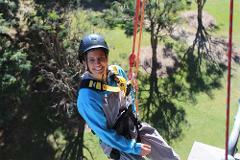 Enjoy the worlds only Abseil Bridge Climb. 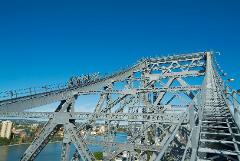 Climb to the top of the iconic Story Bridge and enjoy views across the region. Then descend to just below road level and abseil 30 metres down into the park below. 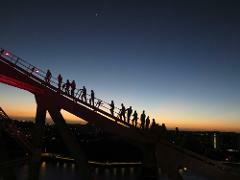 Experience the best of both worlds – Climb the iconic Story Bridge and enjoy a mouth-watering meal just a two minute walk down the road – all this for the price of a regular night climb!